Before my 7th graders leave for high school, I want them to have one more tool in their career toolboxes…how to find more information on careers. In order to achieve this, I use the online game Drive of Your Life. 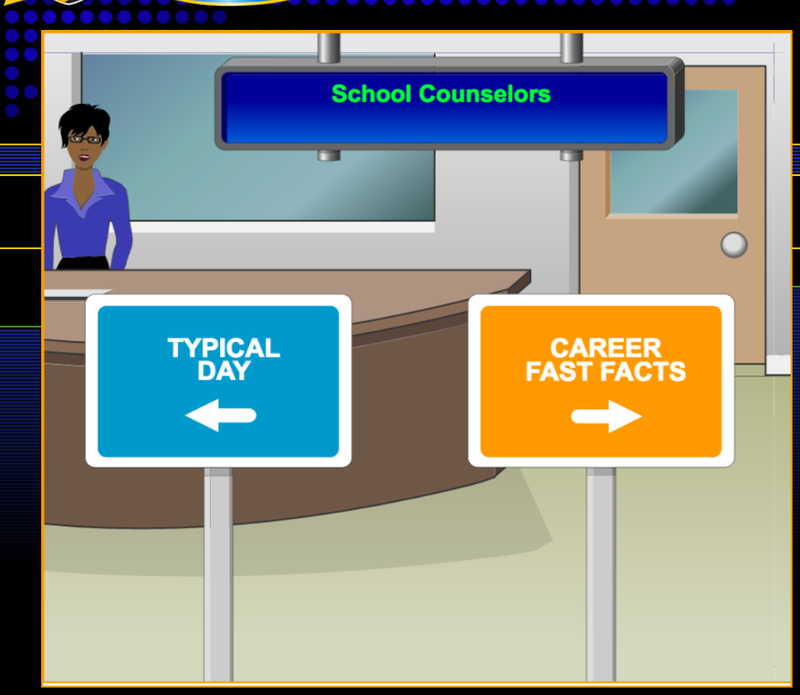 In this game, students are asked questions about the things they like and the types of tasks they would be interested in doing as part of a career. 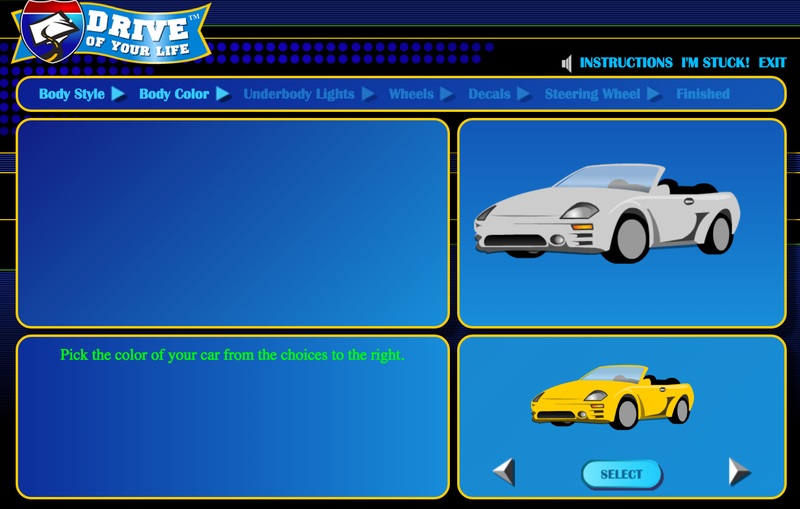 For every group of questions answered, students get to design a piece of their car in the game. 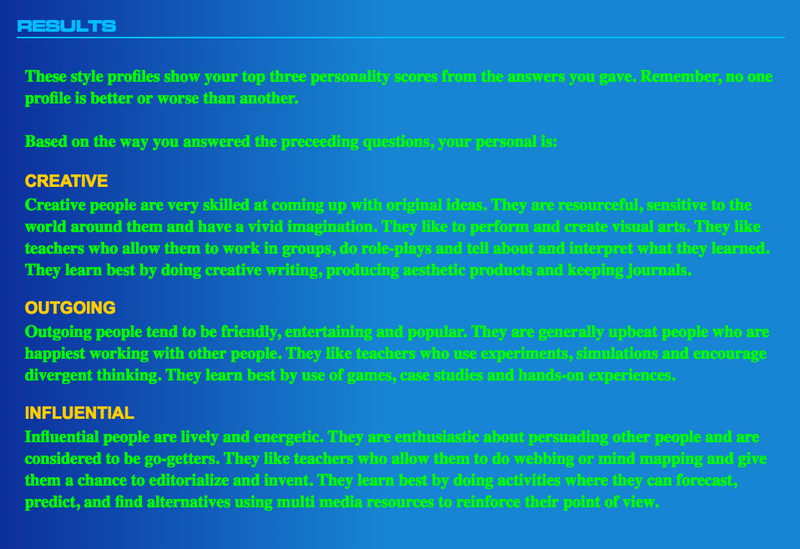 Once all questions have been answered, each student receives a breakdown of his/her top 3 personality characteristics. Students then get to choose their own license plate before heading to the career research section of the game. 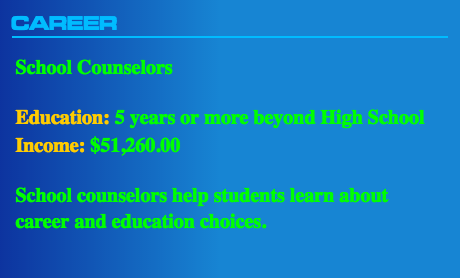 Based on the questions answered earlier, students are provided with a list of careers that may interest them. They can also search for careers that are not on the recommended list. 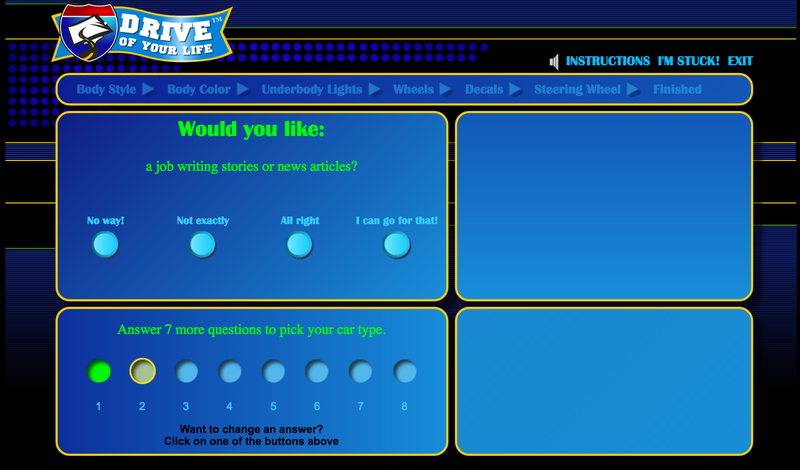 They are then prompted to choose their top 5 career choices, which will be the interstate exits on their “drive.” Before choosing, students can click on careers for a brief synopsis. 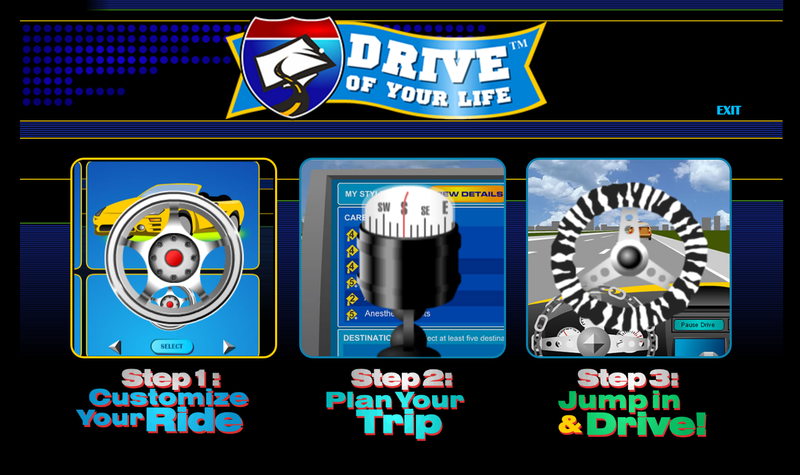 Once they “drive” to a career, students can explore that career much more thoroughly, finding information on education requirements, work hazards, daily tasks, etc. I let the students research different career choices on Drive of Your Life until the last 15 minutes of class. Then, we come back as a group, and they get a chance to share with their classmates any interesting things they learned about careers. 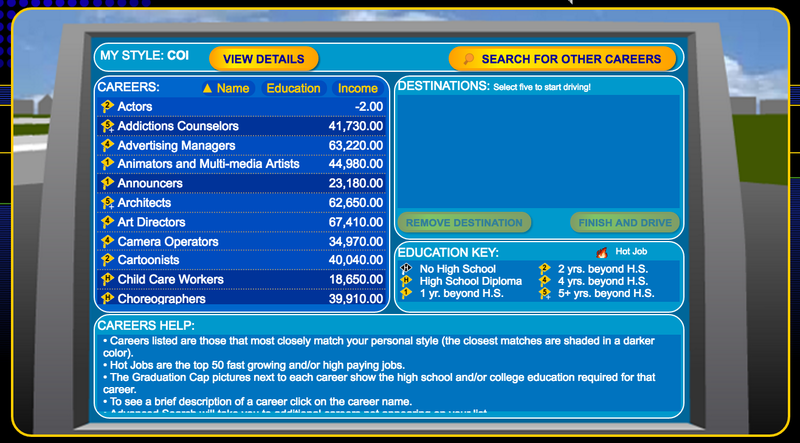 My 7th graders really seemed to enjoy this game, and I think it is a wonderful introduction to researching information on careers. 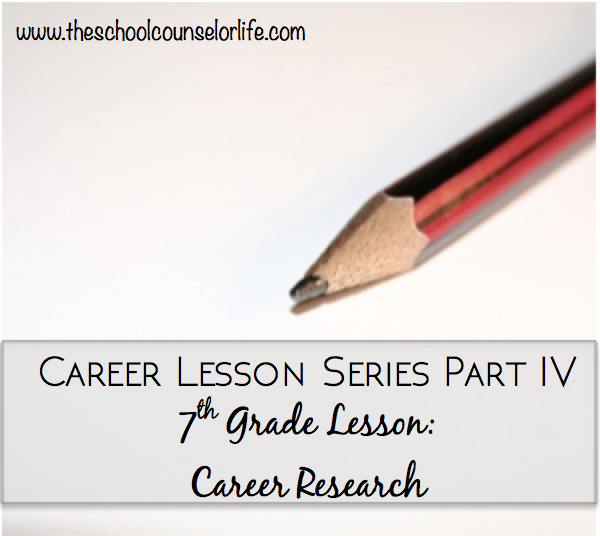 Tomorrow’s post will be the last in this career series and will focus on my borrowed career lessons!